People have generously made use of washing soda, along with baking soda in numerous household applications for a long time now. As effective cleaning agents, these two products offer eco-friendly cleaning on affordable prices. No wonder then, that these products have enjoyed a permanent presence on most kitchen shelves over the years. Going back in time, washing soda was patented by French scientist, Nicolas Leblanc way back in 1791. He made use of salt, sulfuric acid, limestone, and coal to make washing soda. Around fifty years later, two New York-based bakers introduced baking soda in their products to make them fluffier. The baking soda they produced was made using sodium carbonate and carbon dioxide. As far as comparing these two products is concerned, they have both, structural and chemical differences. These have been listed below. Washing soda is also known as sodium carbonate. Baking soda is known as sodium bicarbonate or sodium hydrogen carbonate. Washing soda is naturally derived from plant ash. It can be synthetically produced through the Solvay process using sodium chloride and limestone. The natural mineral form of baking soda is Nahcolite. It is prepared through the Solvay process using sodium chloride, ammonia, carbon dioxide in water. It is advisable to wear protective gloves and a mask, as washing soda may irritate the eyes and skin. It can also be toxic when inhaled. Take the necessary precautions while using washing soda. As the name goes, washing soda is predominantly used as a cleaning agent. It is used to get rid of tough stains, including those left by grease, oil, and red wine. However, one must refrain from applying it directly on to the clothes, as it may damage cloth fibers. It is also used as an agent to soften hard water. It reacts with the calcium and magnesium bonds present in the water, enabling the detergent to work. Sodium carbonate is a vital ingredient used in manufacturing glass. It is used in public swimming pools to neutralize the acidic level of chlorine. Being a good conductor of electricity, it is used as an electrolyte in many experiments. It can be used in the process of dyeing clothes, to enhance the effect of the color. It effectively descales the tiles, flooring, and coffee machines as well. 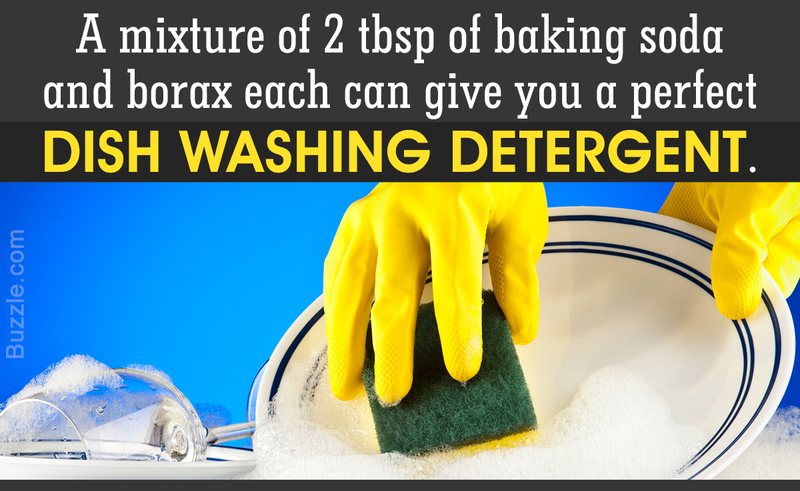 The versatility of baking soda, or soda bicarb, as it is also known as, is legendary. Besides its usual stain-removing properties, it is also used in cooking and as a beauty product. 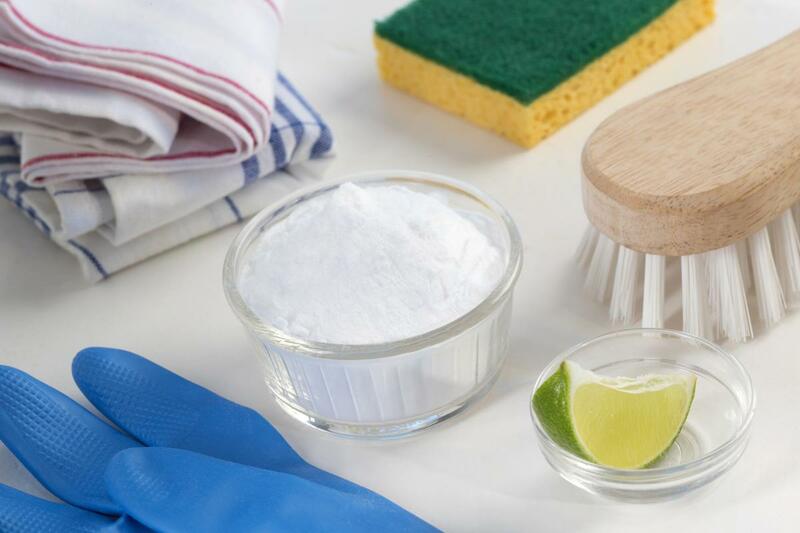 Here are a few of the many uses of baking soda. Baking is on top of the list, of course. Soda bicarb is a leavening agent that lightens and softens your cakes, breads, and pastries. It can only be used in combination with acidic ingredients like lemon juice, buttermilk, or yogurt. It can be used to soften meats and vegetables while cooking. A paste of baking soda and water can whiten the teeth, when used during brushing. It can be dusted on the underarms to neutralize body odor. A paste of baking soda and water can be used to exfoliate the skin, to make it softer. It can be sprinkled in refrigerators, dishwashers, microwaves, dustbins, and drains to deodorize them. Hair brushes and combs can be soaked in a solution of baking soda and water for a thorough cleansing routine. It can be sprinkled on fruits and vegetables before rinsing them in water to get rid of any residual matter. 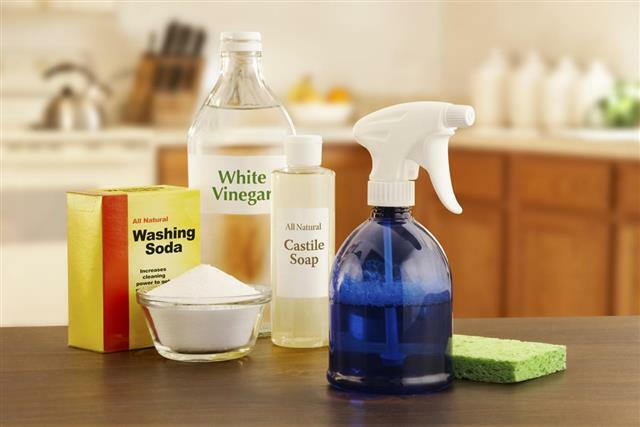 These cleaning agents are environment-friendly, and are easy on the pocket. In fact, washing soda and baking soda can actually eliminate a lot of chemical-laden products from our lives, helping us to keep our planet green.